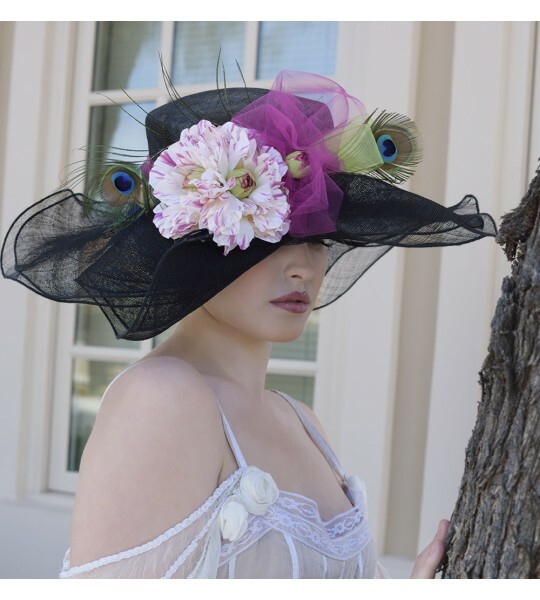 Lady Erin Hat by Louisa Voisine Millinery. Fast worldwide delivery. Click or call 323-592-9172 for more info. By buying this product you can collect up to 22 loyalty points. Your cart will total 22 loyalty points that can be converted into a voucher of $5.50. Louisa Voisine: "Summer heat inspired this bold statement. I live in a very hot climate in the summer with temperatures ranging between 108 and 118 degrees. The bold bright lights of the Las Vegas strip mixed with the waves of heat create dynamic colors from dusk to dawn. The vibrant colors in this design rest upon a dark desert night." 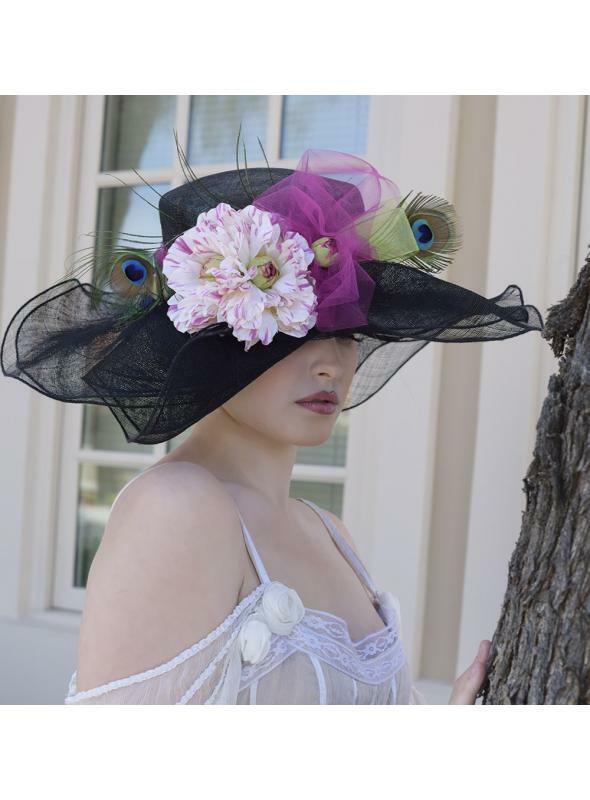 This Lady Erin hat by Louisa Voisine Millinery makes a bold statement. 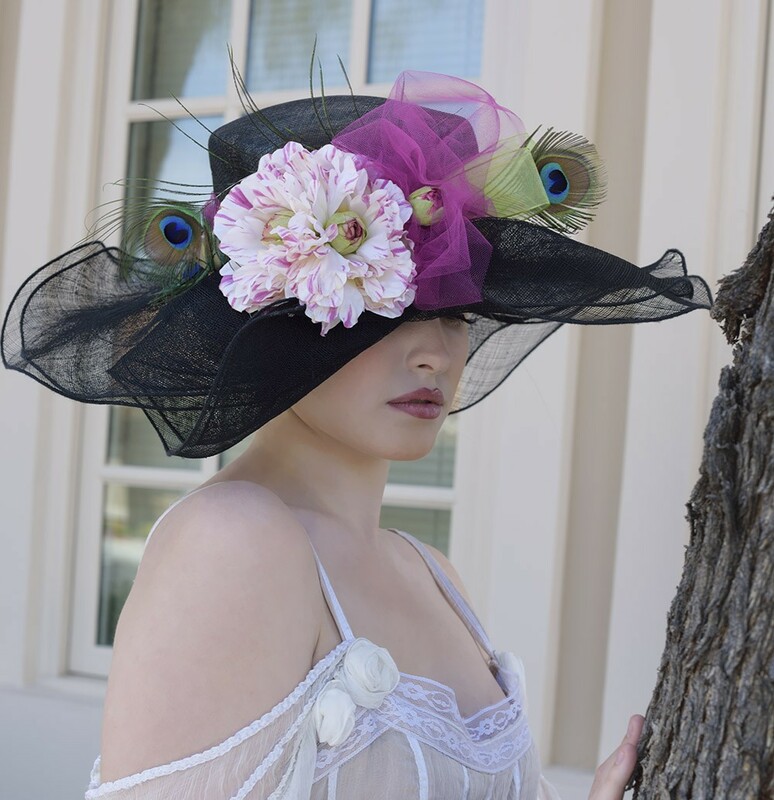 The black color of this hat lends an edge to the subtle feminine curves of the brim and the large pink blossom that adorns this piece. 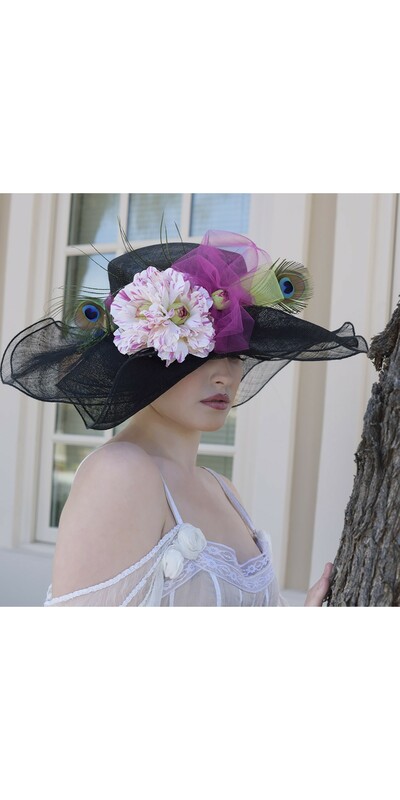 The vivid greens of ribbon and flower buds perfectly complement the exquisite colors of the large peacock feathers that make this hat a true statement piece.